Manufacturer of a wide range of products which include celery salt, garlic salt, onion salt, butter salt and oregano salt. 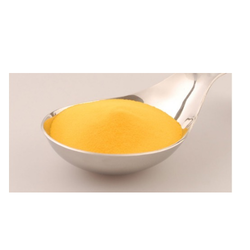 We are one of the noted manufacturer, exporter, wholesaler and supplier of excellent quality Celery Salt. Description: offered product is used in food, beverages, other such industries. This celery salt is a light green flowing powder (a few soft lumps are permissible). Our experts use salt, malto dextrine, onion powder, garlic powder, yeast extract, taste enhancer (E 627), hydrolysed vegetable protein, anti caking agent (E 551) for making this product. 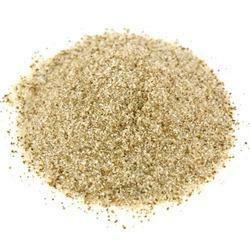 Applications & Recommended Usage: Celery Salt can be used for numerous culinary applications. Some of them are as follows: Gravies: 5 to 9 gms. on 100 gms. of gravy.Food Flavouring in meat/vegetables/soups: 1 to 8 gms. to 300 gms./ml. of meat/vegetables/soups etc.Dust on seasoning on fried snacks/fries/wedges: 1 to 4 gms. to 100 gms. of fried snacks. Shipping & Storage: Shipping and storage temperatures should not exceed 35°C. Storage should be in clean & dry place. We are offering Garlic Salt. 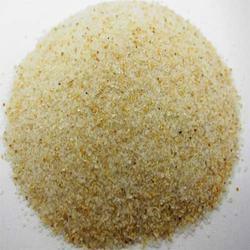 Applications & Recommended Usage: Garlic Salt can be used for numerous culinary applications. Some of them are as follows: Dust on seasoning on fried snacks/fries/wedges: 1 to 4 gms. to 100 gms. of fried snacks. Gravies: 1 to 4 gms. on 100 gms. of gravy. Food Flavouring in meat/vegetables: 1 to 4 gms. to 100 gms. of meat/vegetables. Keeping in mind, diverse choices of our clients, we are engaged in offering Onion Salt that can be used for numerous culinary applications. Offered product is processed under the utmost hygienic conditions keeping in mind defined food standards. Onion Salt offers a nice ripe onion note followed with a mild salty profile in the background. It is a light brown/free flowing powder. We are instrumental in providing our clients with quality assured Butter Salt. This product is ideal for making popcorns. The product is a solid emulsion of water in oil, pale yellow, creamy and homogenous with no streakiness or evident free moisture. Our product is made by salt, yeast extract, taste enhancers (E 627, E 631). Offered product is provided in air tight sealed packaging to maintain their freshness and purity. We are offering Oregano Salt. 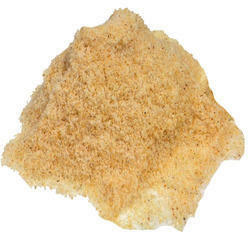 Description: Oregano Salt Offers An Oregano Profile Followed By Salty Taste In The Background. Ingredients: Malto Dextrine, Salt, Oregano, Onion Powder, Garlic Powder, Yeast Extract, Hydrolysed Vegetable Protein, Tasteenhancer (e 627), Anti Caking Agent (e 551).contains Added Flavours: Natural Flavouring Substances. Applications & Recommended Usage: Oregano Salt Can Be Used For Numerous Culinary Applications. Some Of Them Are As Follows: Dust On Seasoning On Fried Snacks/Fries/Wedges: 1 To 4 Gms. To 100 Gms. Of Fried Snacks.- Gravies: 1 To 4 Gms. On 100 Gms. Of Gravy.-food Flavouring In Meat/Vegetables: 1 To 4 Gms. To 100 Gms. Of Meat/Vegetables. Looking for Cooking Salt ?